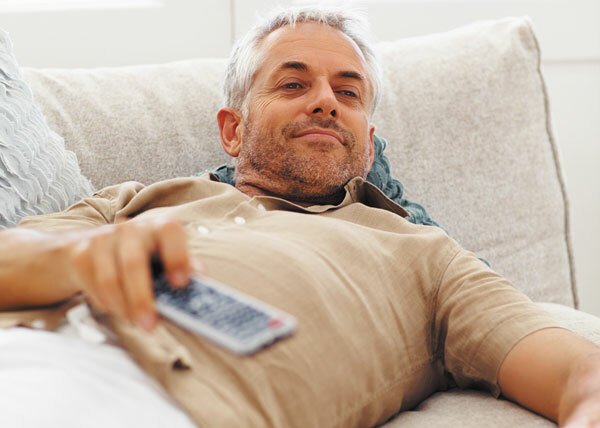 Here's something to jolt you off the couch and get you exercising: a study published Feb. 10, 2016, in Neurology links poor fitness levels in middle age to brain shrinkage 20 years later. Researchers, including some from Harvard Medical School, looked at the cardiovascular fitness of about 1,100 people, average age of 40, who were free of dementia and heart disease. The participants had taken treadmill tests to determine their cardiovascular fitness levels based on how much oxygen their bodies used during exercise. About 20 years later, participants took another treadmill test and underwent neuropsychological testing and MRI brain scans. The scans showed that people who were unfit in middle age had smaller brains in older age, compared with people who were fit in middle age. This doesn't prove that inactivity in midlife causes brain shrinkage. But previous studies have shown that regular, moderate-intensity exercise may be associated with slower brain aging.